77 TENZI games in 3 variations: Regular, pattern, and non-speed. 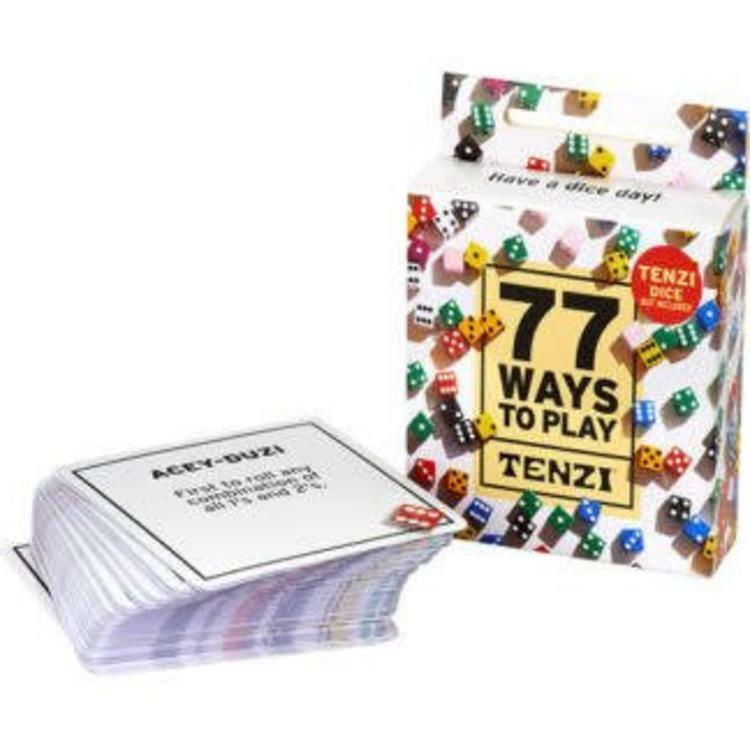 Each of the 77 cards in the deck have its own pattern or rules you can use to modify your TENZI game. The pack also comes with 3 blank cards you can write your own rules on. Adding this to your Tenzi dice is paramount in making the game fun for multiple rounds. Always yell "Tenzi" to signal that you've won. All the pattern cards use 9 dice to create the pattern but don't forget to roll a 6 on the final dice in order to win! The non-speed rounds change the game up greatly. You either take turns rolling the dice in rounds or all roll your dice together. If no one has won then continue on to the next round.